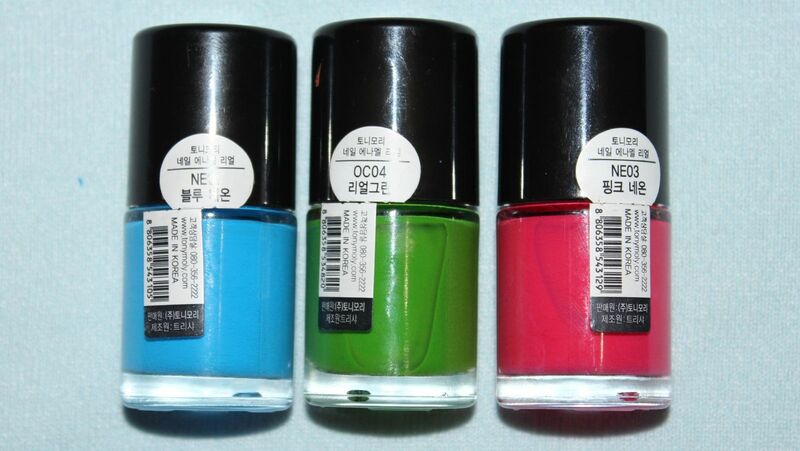 You may paint all the nails in one color or paint them in different colors like what I did. 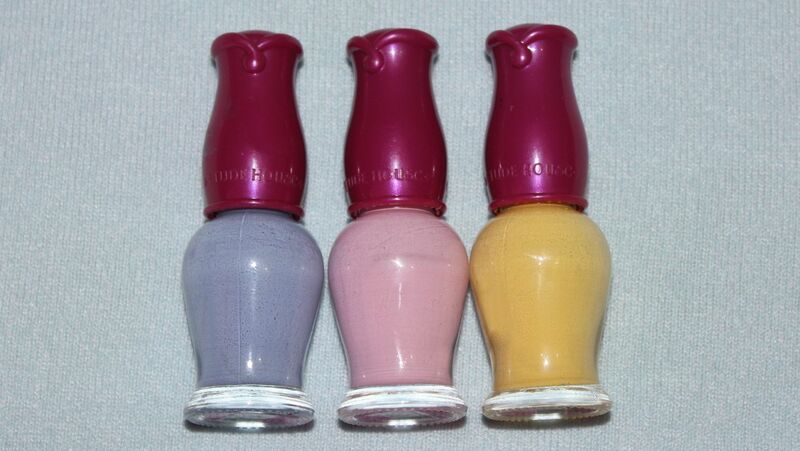 The pastel base polishes that I use are Etude House Petite Darling Nail Polishes. 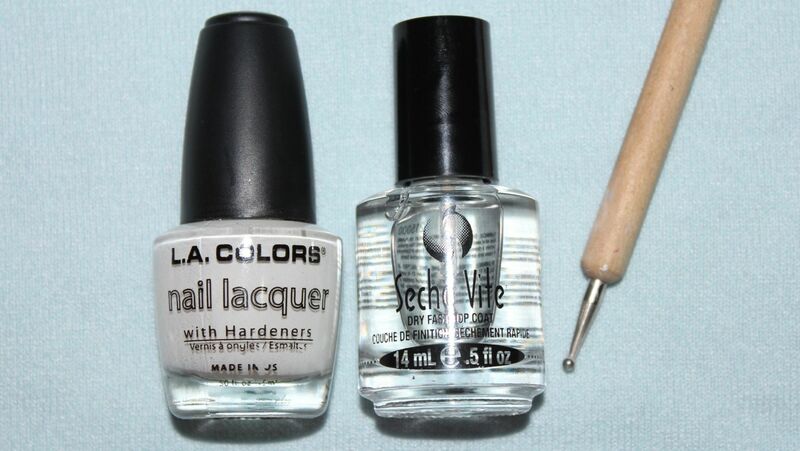 You will also need a white polish, top coat and a dotting tool. 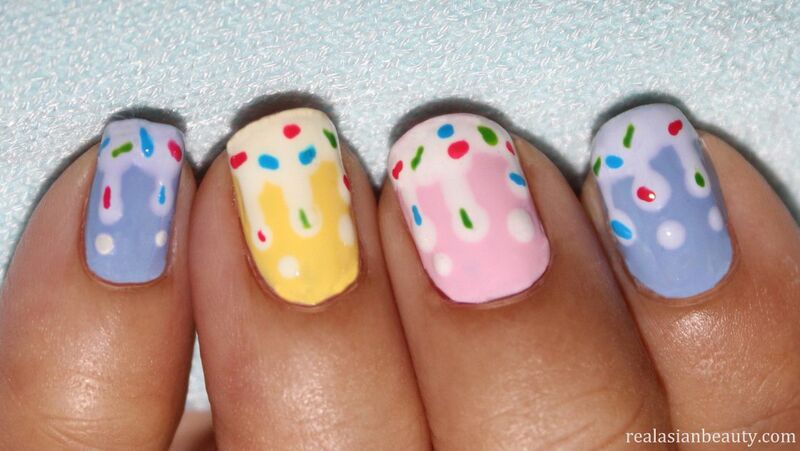 And then for the candy sprinkles, I used polishes from Tony Moly. It's so easy! I am proud of myself because these days I noticed that I tend to create simpler nail arts than the complicated ones I used to make a few weeks ago. 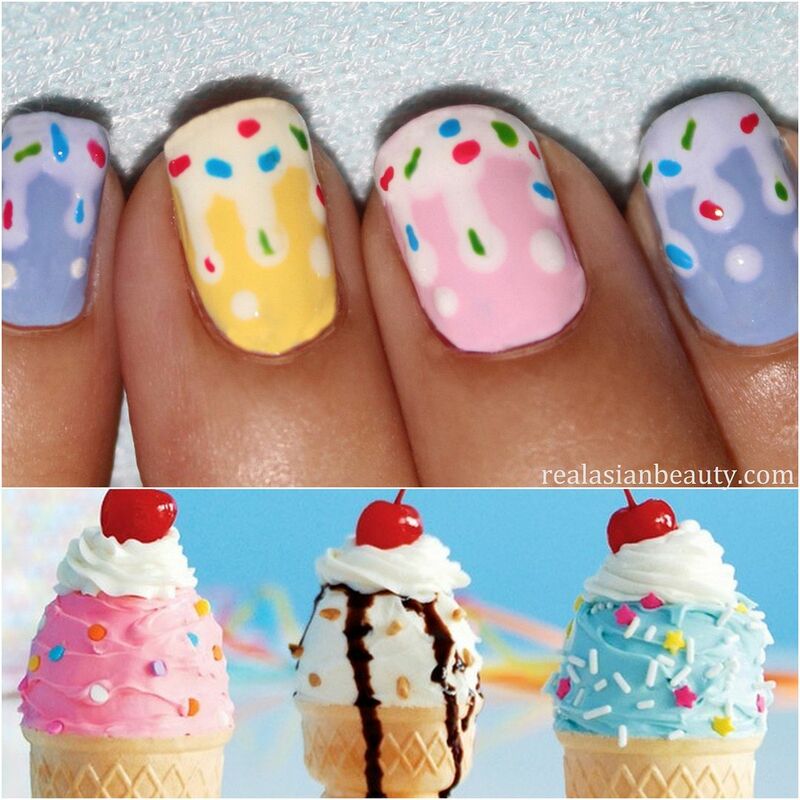 I guess I'm going to have to switch intricate nails, Kpop nail art and simple designs. I hope you like this simple design!